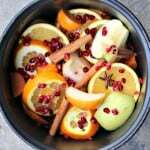 It was totally my intention to make a big pot of this Fall Harvest Hot Apple Cider for Halloween night. 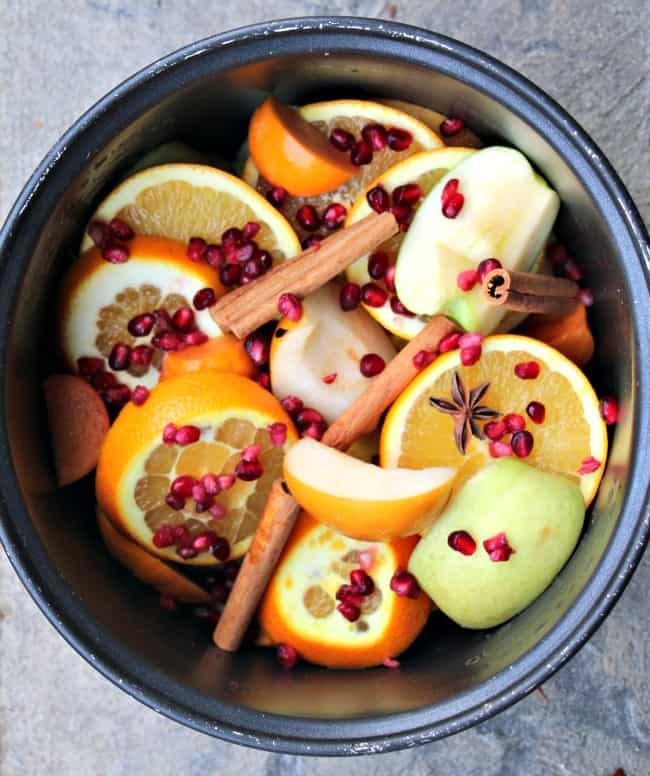 I envisaged a cold rainy night, we would sit on the porch and have a few sips of our delicious hot cider straight from the slow cooker, as we passed out candy to the neighbourhood kids. Along comes Halloween night, and it is so hot, we end up sitting in the yard with the neighbours drinking icy cold beers instead. Alas, my little hot apple cider fantasy was not to be. My poor son was stuffed into a big puffy pumpkin outfit to boot – that sweaty little man was not a happy chappy. Regardless of the complete lack of cooperation from the Californian weather (I shouldn’t have been surprised), I have persevered and made hot apple cider a couple of times already this season. It is so comforting and delicious, I just can’t help myself. I have packed it full of all the beautiful, fresh, Fall fruit available at the farmers market at this time of year. 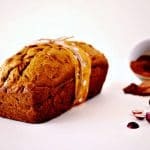 It is a great way to use up some of the old, wrinkly, forgotten fruit languishing at the bottom of the fruit bowl or the back of the fridge at the end of the week. I have definitely been known to sneak some overly squishy pears bound for the garbage in there, and they tasted great (so much sweeter)! Play around with the fruit you have on hand, and make it your own. Do you have a favourite hot drink you enjoy when the cooler weather rolls around? I would love to hear from you. Leave a comment, like on Facebook or pin to Pinterest for later. Happy eating (and drinking). 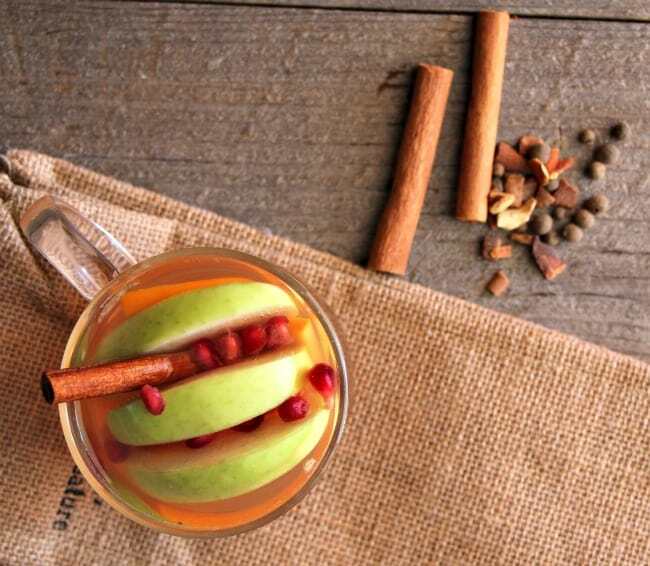 Looks very sweety and I’m gonna try this Fall Harvest Hot Apple Cider on coming Sunday! Hey there! I think I am making this for tomorrow and I’m so excited about it! I’m kinda just making this for myself since I’ll be the only one at home most of the day, so there will be quite a bit leftover. Do you know long this keeps in the fridge? In other words, how many days do I get to enjoy this? 🙂 thanks! I want to drink this immediately! My husband and I have been stocking up on Persimmons since they are abundant this time of year, and this drink looks like another jackpot way to include one of my favorite fruits. Yay! Thanks for sharing this recipe. Oh you are so welcome Aarika! We have been going persimmon crazy over here as well – my two year old is totally addicted (who would have thought!). 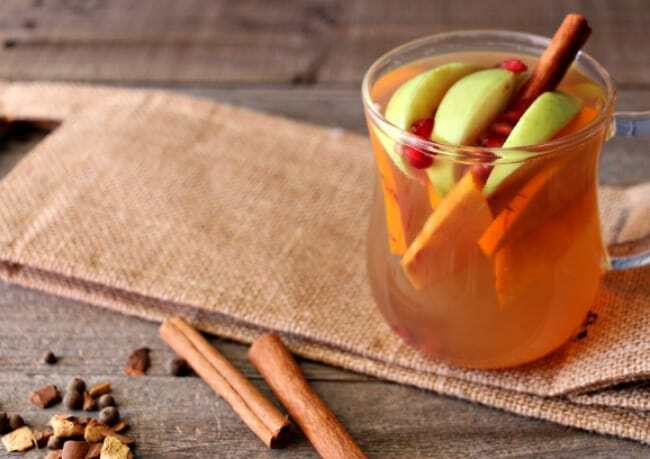 This cider looks so warm and delicious, love the idea of adding pomegranate! This sounds delish & looks so pretty! Might have to try it! That looks beautiful. Another thing to try. This sounds so warm and yummy, with so little added sugar. I am so doing this. Thank you! WOW! That almost looks too pretty to eat!!! Aww thanks Natalie, the fruits all looked so beautiful together!